Fresh player taken off after 55 mins says it all. Did win the first penalty, though seemed a harsh decision. Hard to wrap your head around it, but he’s got even slower. Legs are completely gone, the vision went a while ago, and he’s become reduced to coming in off the wing and spreading play to the other side. What else does he offer? He's finished in the Premier League, should go to a slower league and can't believe Utd offered him a contract! He was finished 2-3 years ago if we're being honest. He has been a bad signing overall, just too limited. Mata was a shadow of his best self today. Pointless to play him when its clear he's done at United, and both sides know it. Could've given someone like Pereira some minutes instead, since he's actually likely to be at the club next season. Played like someone who's already out of the door, which he pretty much is. I get that he is slow and weak but what I really don't like seeing is how slow his passing is. More often than not the receiving player has to wait quite a while when the ball rolls towards him. As intelligent a player as he seems, it bugs me how pedestrian he is. Sad but he's too slow at this level now. Seems a lovely person but United need an upgrade, he was never used right as a ten and now he's too slow. 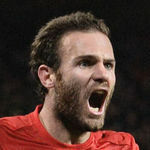 Italy maybe a good move for Juan, be crazy to be offering him a big contract. Now he can't even seem to generate enough power in his legs to complete simple passes. So many passes under hit, it was pathetic to watch. Hope Barca did not see that, and are still interested. Embarrassing is the only word. It's like playing with 10 men, unfortunately a sad indictment of how the club is run that this guy gets minutes instead of a youngster with potential. Scammed the penalty for us but was playing in treacle today. I will not bat an eyelid when he leaves. Full marks for clearing out that cnut Noble, mind. Well played, Juan. He is done diddly done. Didnt fecking hit him hard enough. He was literally apologising while he was tackling him. Personally, I like Mata. If he does indeed have an offer from the club we should all just give up. Looks woefully past it. What’s the point in him staying another season or two, he isnt player we signed anymore. If we do add quality to the squad he’ll play even less so bite the bullet and give his game time to one or two of the youngsters. He’s exactly the type of player we need to be either selling or not offering a new deal to. I like him but I find baffling we even offered him a new contract. I still think hes a good player and would perform superbly in another team. We just lack top players for him to link up with and playmake for. I imagine Messi himself would consider retirement if he was playmaking for Lukaku. Excuses. He's been abject for the Spanish national team since ages. Get rid. If I had my way, I would have all of them out of our club. Nah, his legs have officially gone now. He hasn’t really been that good in his whole time here and is getting worse. He could be a world beater anywhere else and I couldn’t care less just want him out the door. If players aren’t producing year after year then it’s time to get rid not give them new contracts. He's a pedestrian player nowadays. End of the road for him in a United shirt, hopefully.